Flipkart is here with a great deal offering Huggies Ultra Soft Small Size Premium Diapers Pant Diapers – S (22 Pieces) at Rs 134. Best diapers for your baby . Grab them Now..!! 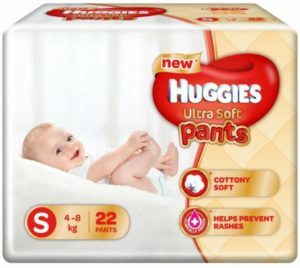 How to Buy Huggies Ultra Soft Small Size Premium Diapers Pant Diapers?